We already be able to send invoice as e.g. 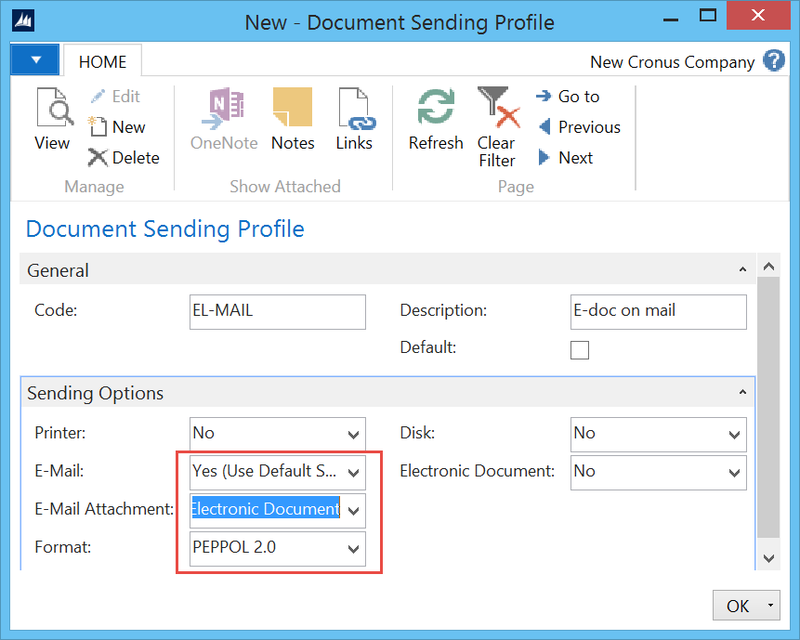 PDF in mail attachment and it was good feature, but now in NAV 2016 we can do more. We have a really new good feature for invoice sending. Now, we can send business documents electronically. The same situation is for purchase documents; we can receive and convert vendor’s invoices to a purchase invoices in NAV. As document exchange service, we will use external provider. 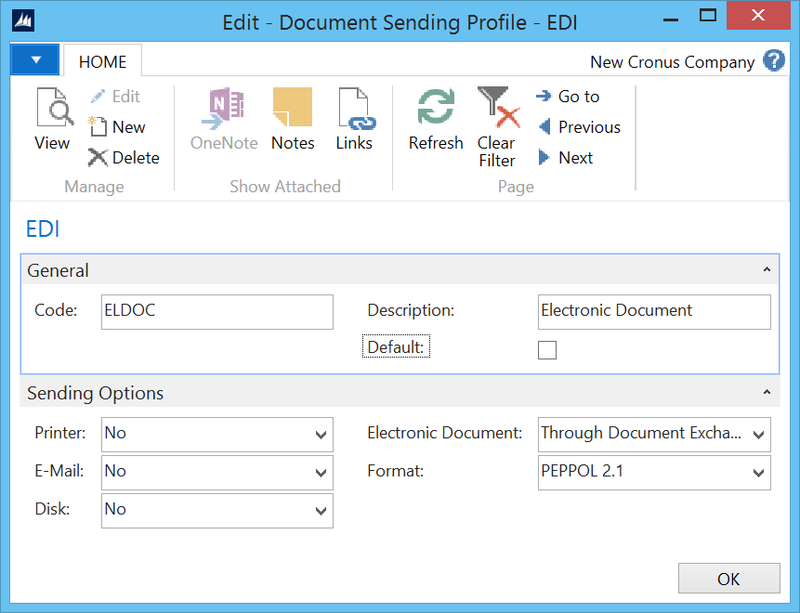 Standard NAV will support sending and receiving electronic invoices and credit memos in the PEPPOL format. 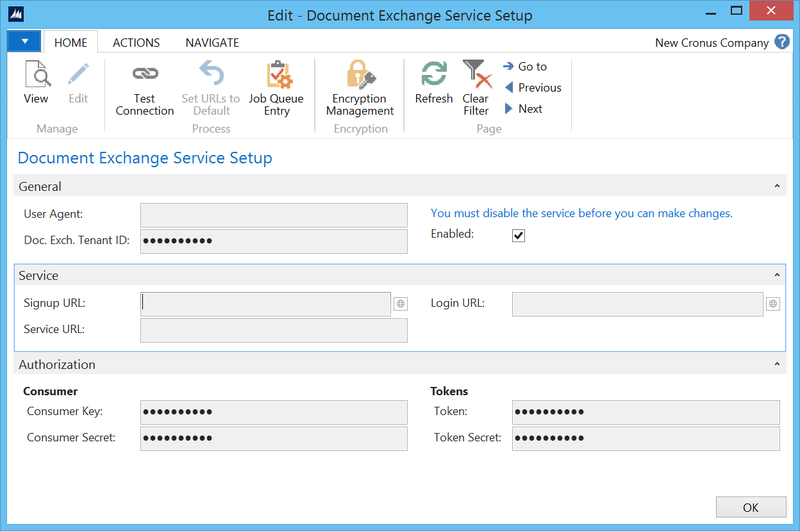 Before we start with using electronic documents, we need to configure Document Exchange Service Setup. 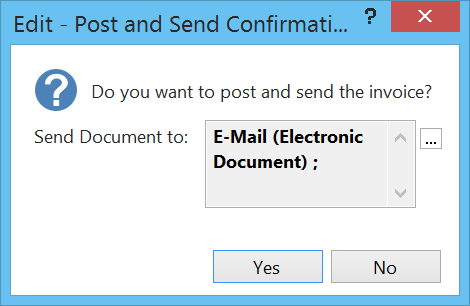 Then, we have to make Document Sending Profile as we need. This is place where we can choose how we want to send our invoice to customer. If we want to send electronic document directly Through Document Exchange Service, you need to set it and then choose format. After that, we have to add this profile to our customer. Before we send document to our customer, it must have configured VAT Registration No. or GLN. To send document, we have to choose Post and Send on our Sales Invoice and system will send it. Now, when we run Post and Send on our Sales Invoice, system will make an e-mail (every time when we choose Post and Send system will give us possibility to change way of document preparation and sending). 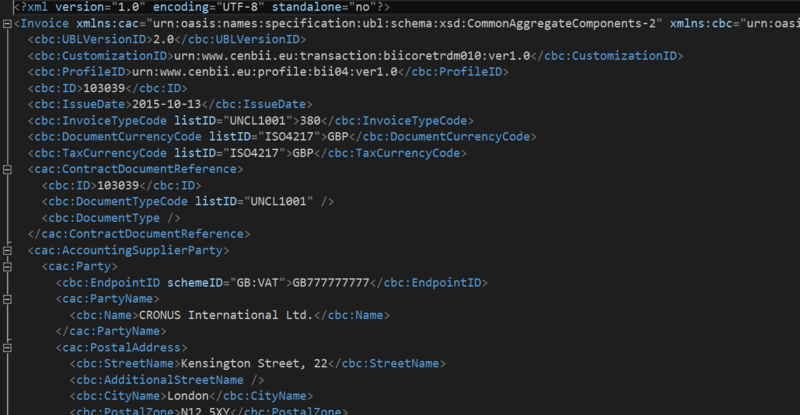 When you see your electronic document, you can see that it is an XML file. You can also choose to save this document on disc or some other possibilities.